Official instances have done a lot of work to protect the Baltic Sea. In a local level, it’s time to have practical actions. 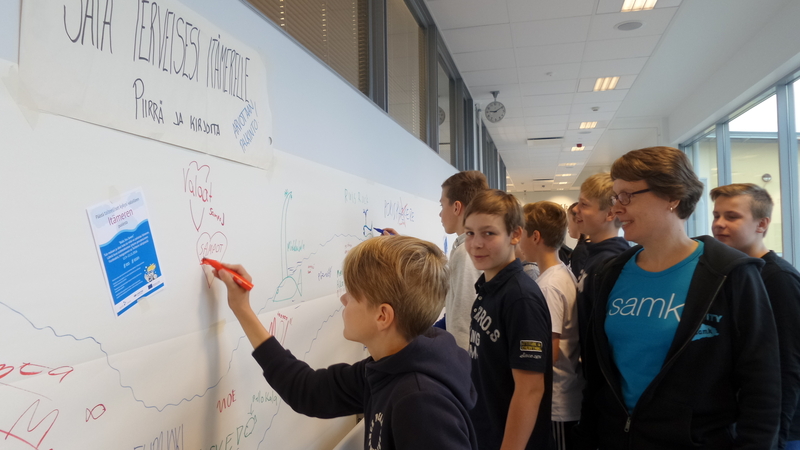 − Our school is active on societies active on protection of Baltic Sea, so it was self-evident for us to participate the Baltic Sea Savers -campaign, tells teacher Karoliina Saurio from Eurajoen yhteiskoulu. At Eurajoen yhteiskoulu, 7th graders, who are 13 years old, will participate the process in several subjects, in Finnish, chemistry and art. They will evaluate the meaning of Eurajoki river in their own life, collect information on river water quality and analyze how the river affects the quality of Baltic Sea. The plan is to collect trash from shores of the river and make art from them as a part of the campaign. As an activating element is an art competition in social media, which questions “Who or what is the “Baltic Sea Saver”. − The aim of the Baltic Sea Savers is to make everybody, especially youngsters aware of the quality issues of the Baltic Sea, says the communication manager of the project Minna Keinänen-Toivola. The piece or art for the competition is published in social media, in Facebook, Instagram or Twitter. The Baltic Sea Savers art competition happens simultaneously in Finland, Sweden, Åland, Estonia and Latvia. It is open until 13.11.2016 and it is open to anybody over 13 years old. In Finland, the campaign is launched at auditorium of Eurajoen yhteiskoulu, Koulutie 2, Eurajoki 23.9.2016 starting at 8.30.